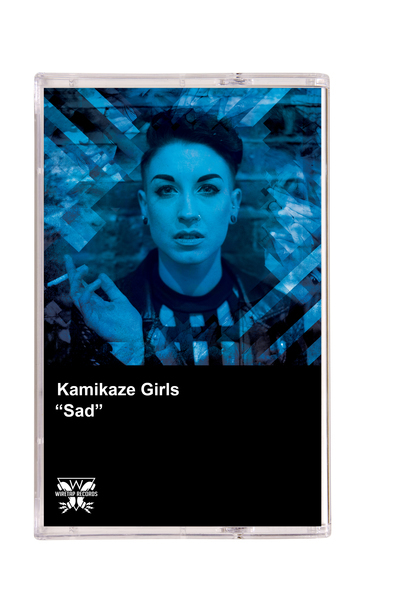 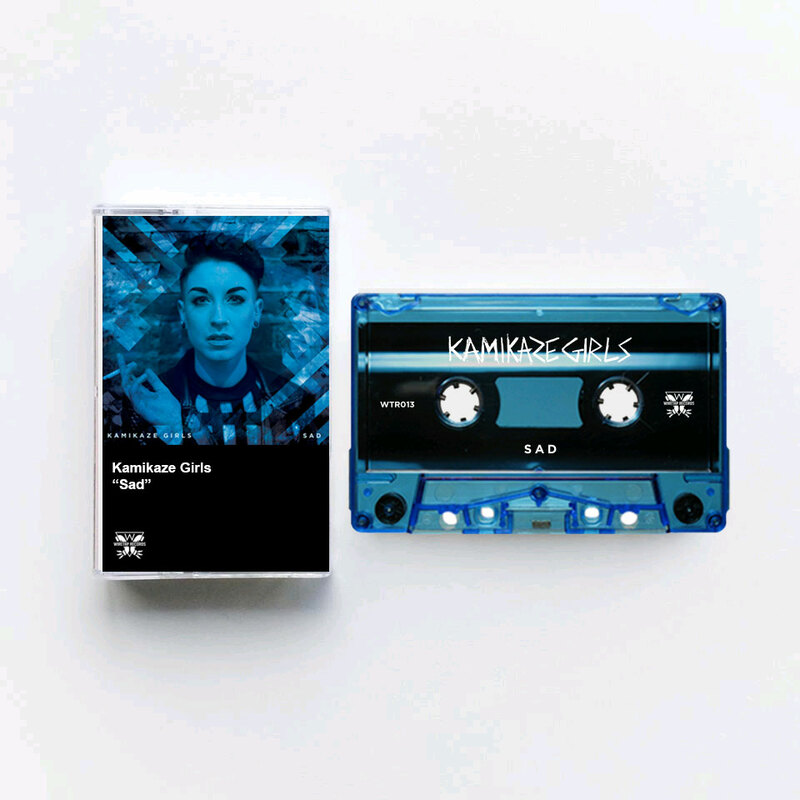 Kamikaze Girls - Sad (Cassette Tape) Blue Tint Cassette. 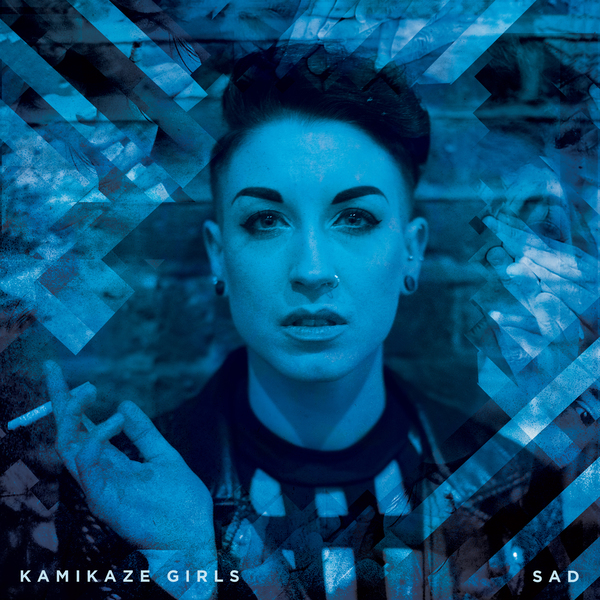 Leeds/London duo Kamikaze Girls' debut EP "Sad" released through Bearded Punk Records (UK/EU) and Wiretap Records (US). 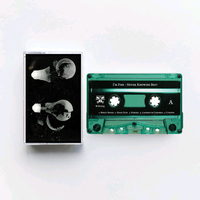 Whether it’s on tracks like ‘Hexes’ where they speak of the pains of anxiety: “Psychosis, you’re messing with my head again / While I’m pulling out my eyelashes you’re fast asleep in bed”, or on ‘Black Coffee’ where they delve into the heart of addiction “I found the cure for these aching bones / I’ll breathe you when I just can’t hold it up”, Kamikaze Girls aren’t afraid to speak what’s on their mind, and are emblazoned with passion at every turn. 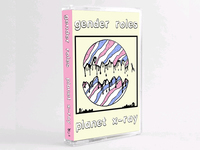 This a band unafraid to lay their insecurities bare for all the world to see, and they’re inviting you to join them. Sad is out on September 2nd through Bearded Punk Records (UK/EU) who will release a 12” LP and Wiretap Records (US) will be pressing a limited cassette tape.